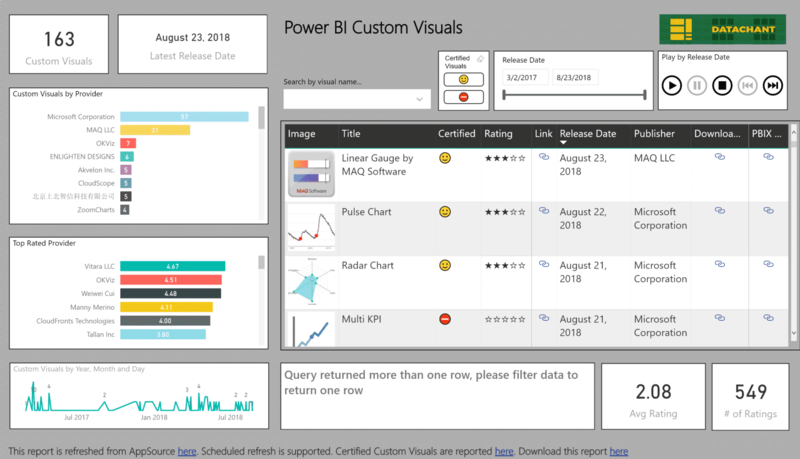 Power BI Desktop May Update is out! 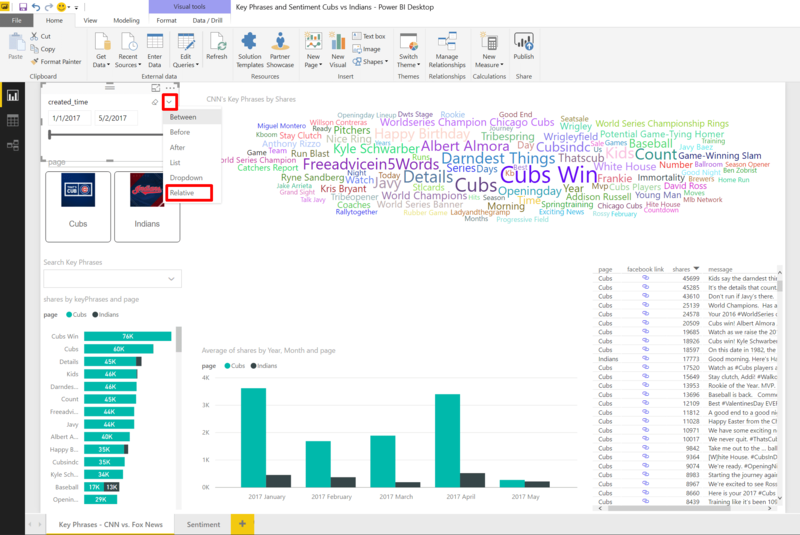 As the official blog was not updated this morning, I wanted to share my findings and interesting surprises from this update: New logo, Relative Date Slicer and a new Table visual that is clickable (and slice and dice other visuals) and can wrap text! Oh, and there is a new connector in beta – Dynamics 365 for Customer Insights. Update: Here is the official announcement with full feature list. 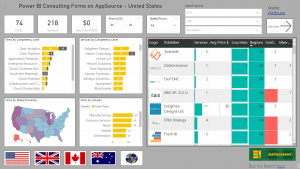 One of the most prominent features is the Report Level Measures here which allow you to create measures on top of a report that is connected live to tabular SSAS or Power BI Service! Now, let’s review the new features (that were found before the announcement). But the new logo is now everywhere. On Power BI Twitter, Facebook, and now also on my Desktop. Leaving the logo aside, I opened the Options dialog to find new Preview features, and found out the Relative date slicer. 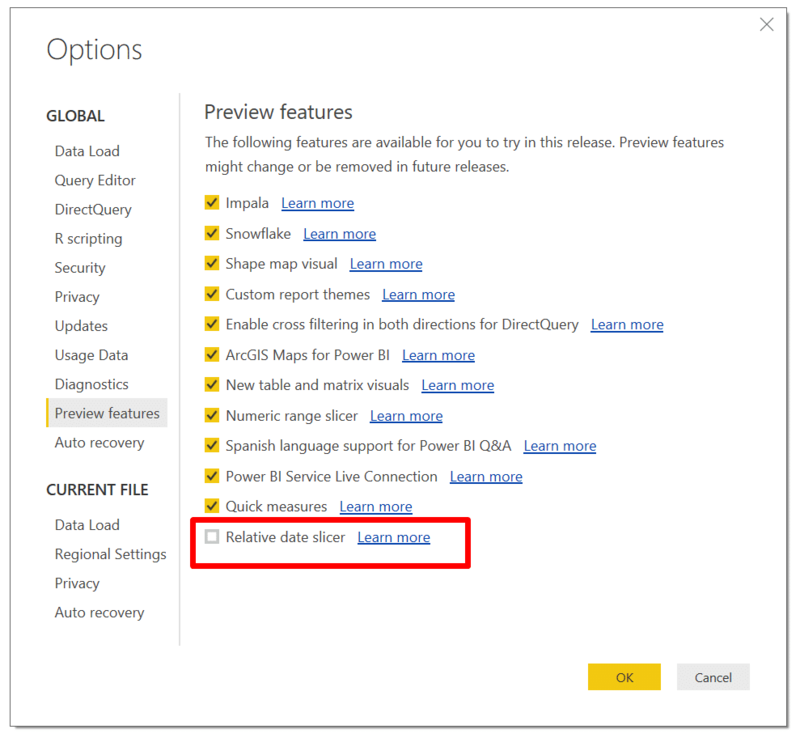 Enable it, click OK, and restart your Power BI Desktop. With your Relative date slicer, you can now find the Relative option in the drop down menu of any slicer visual that has a date field. When you switch the slicer to Relative, you can select between Last, Next and This in the first drop down menu. Selecting Last or Next, will allow you to set the number of intervals and time frame. When you select a time frame without the (Calendar) suffix, it calculates the interval from the current date. For example: Today is May 2, 2017. Setting Last, 1 and Years, create a filter between 5/3/2016 and 5/2/2017. When you select a time frame with the (Calendar) suffix, it calculates the interval from the current time frame. 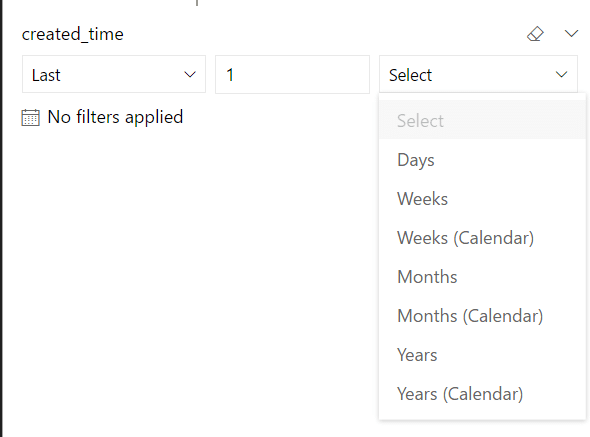 For example: Setting Last, 1 and Years, create a filter for all the dates last year (between 1/1/2016 and 12/31/2016). 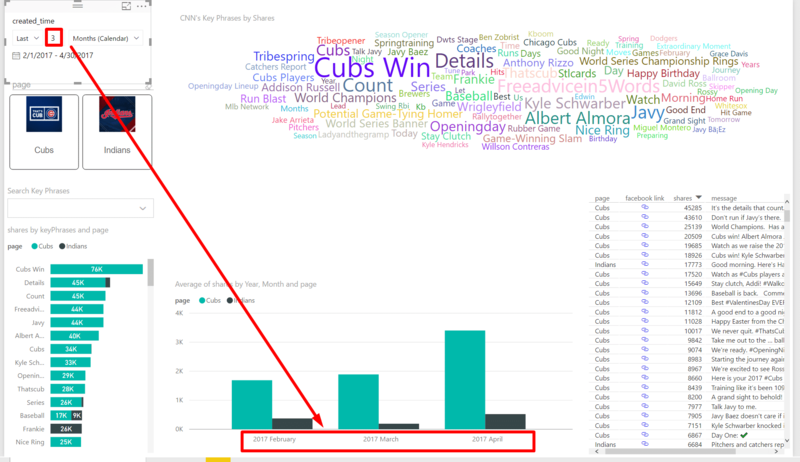 Here is a screenshot of an existing report, with the Relevant date slicer set to show the last 3 full months. No matter when I will open the report, it will always apply the relative filtering dynamically. There is a new Table visual. Just one spot before the new Matrix visual. 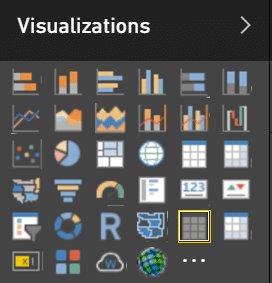 Like the new Matrix visual, the new Table visual is still in beta (As you can still use the old visuals 2 rows above in the Visualizations pane). 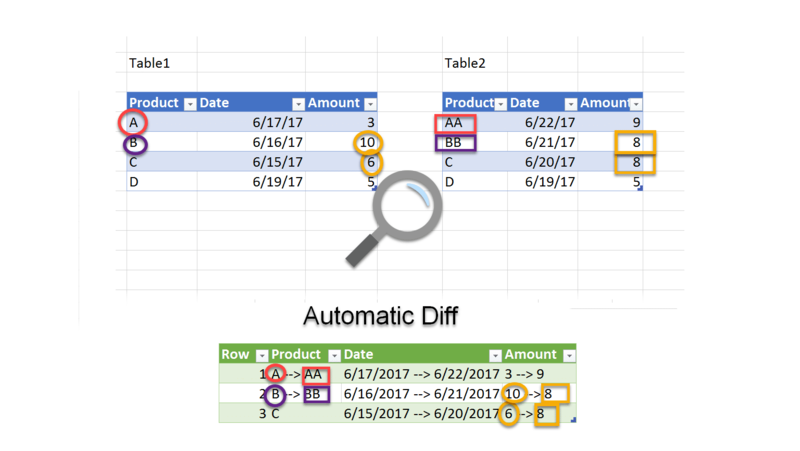 Like his sibling, the new Matrix, the rows in the new Table are clickable. 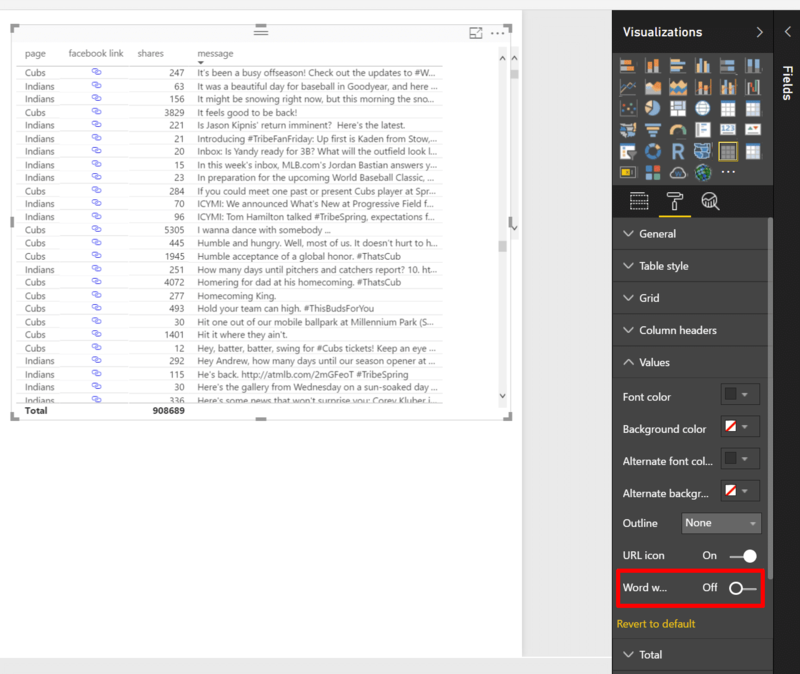 You can click on any row, and to filter or highlight other visual. Another great new feature, which isn’t available in the old Table, is Word wrap! 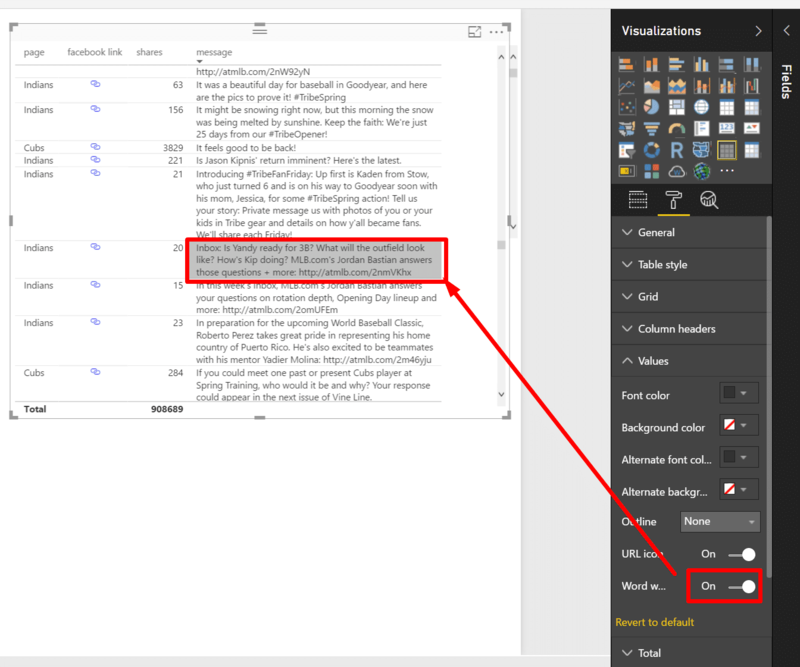 In the Format view, expand the Values section of the new Table visual, and turn on Word wrap. Here is a table before activating Word wrap. You can see that the last column doesn’t show all the text. 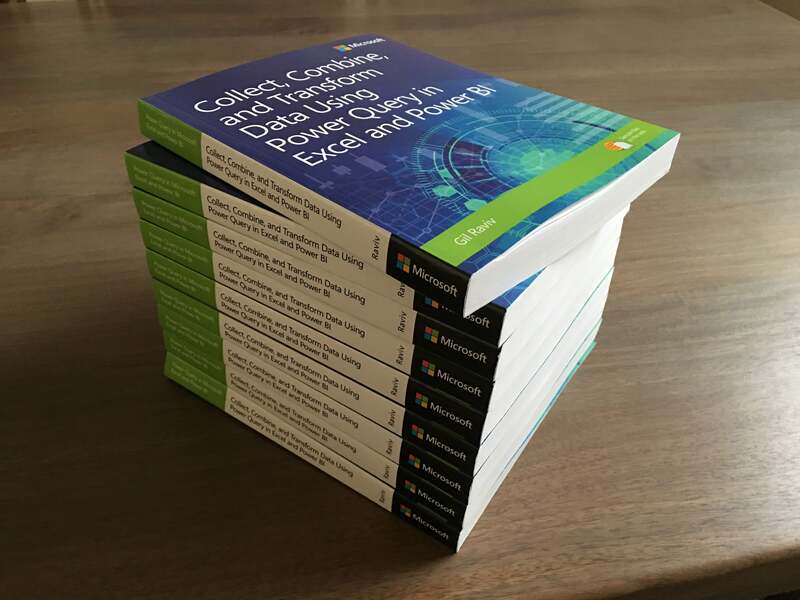 Finally, there is a new connector under Get Data –> Online Services. 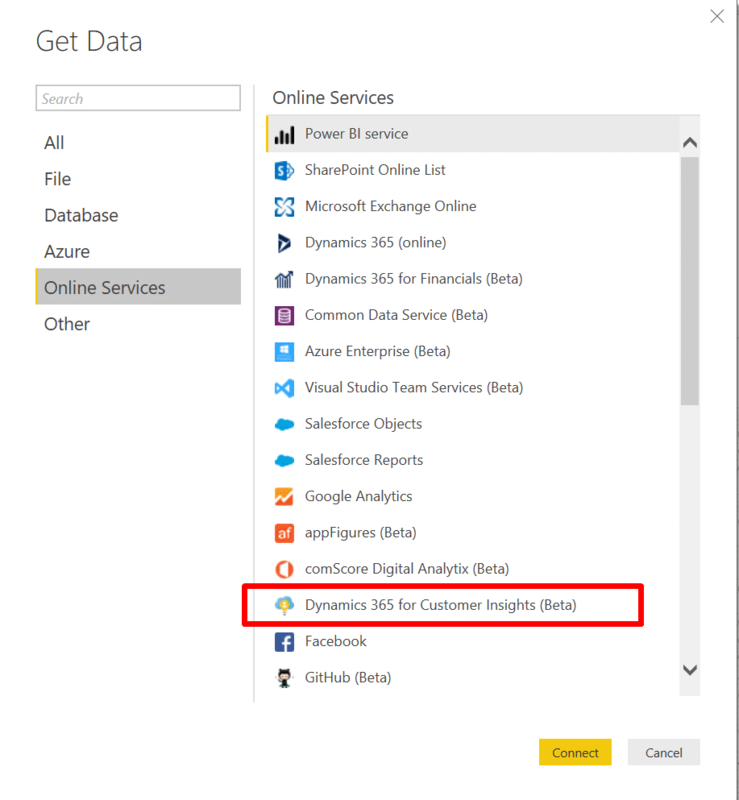 When you connect to Dynamics 365 for Customer Insights (Beta), you can provide your Dynamics 365 URL, and start building your own reports. 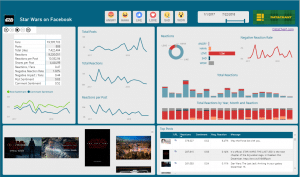 Using the new connector, you may be able to create new reports which are similar to the ones which are currently only available on the service through content packs here and here. Hope you enjoy May update!!! Note: As I was writing this blog post, my colleague had release his own update before mine. 1:0 to Charles Webb. Read more here.